I previously wrote a blog post listing my top 5 IKEA selections in 2013 and it’s been waaaaay too long since I’ve featured their awesome products on my blog again. We all know that I’m a MASSIVE fan of exquisite Designer brands when it comes to interiors but there’s nowt wrong with mixing and matching items and accessories from high end and the more budget conscious retailers (including considered vintage pieces). It can be done. Mixing and matching: oh the joys! 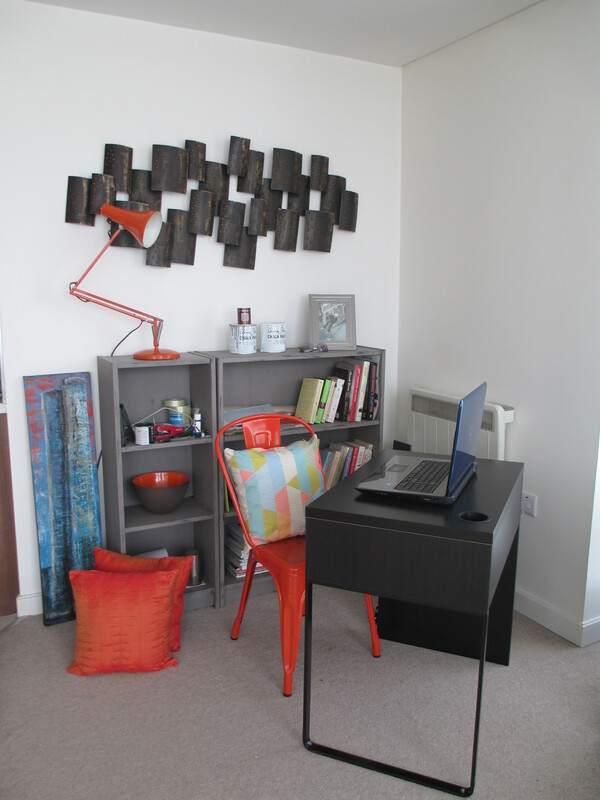 This little corner of industrial inspired heaven is in the living area of my apartment. I make a point of gazing at it adoringly at least 3.69 times per day. Here we have a vintage Anglepoise, resting on an IKEA bookcase (admittedly, I painted it out in Annie Sloan Chalk Paint to grunge it up a little), accompanied by an authentic, iconic Tolix chair that sits alongside an IKEA desk (loved this desk the minute I clapped eyes on it). The earthenware bowl with the cosmic orange inner was an absolute fortune but sometimes if you REALLY like something and it gives you unmeasured pleasure, you gotta go for it and spend your hard earned pennies. I think you’ll agree that grouped together in a considered fashion, nothing in this little arrangement looks glaringly out of place. Read more about my quest for the perfect desk here. Ok, back to my top 5 (in no particular order). 1. Let’s kick things off with good ol’ faithful: the scented candle. At £2 a pop, you could afford to get 20 of these things and turn your boudoir into something that resembled a Boyzone music video. Available in two sizes, I liked these because of their charming ‘jam jar’ quality and their neutral tones will ensure they will compliment a range of colour schemes. 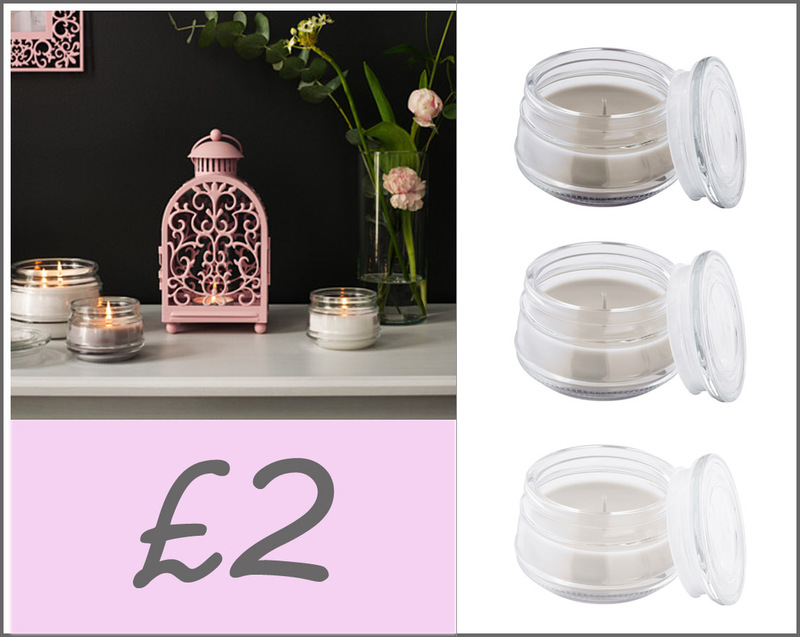 Click here to view the range of IKEA candles. I liked the rugged design of this room divider and its dark hue really does add a richness to its overall visual appeal. I approve. Click here for more details. 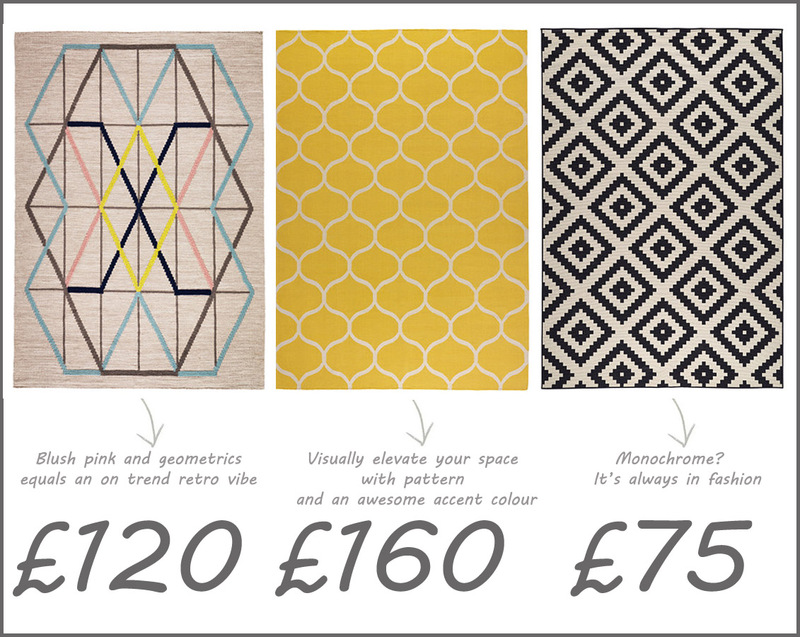 There were too many nice rugs to just choose one – here are my top 3 picks. Click here for more details. 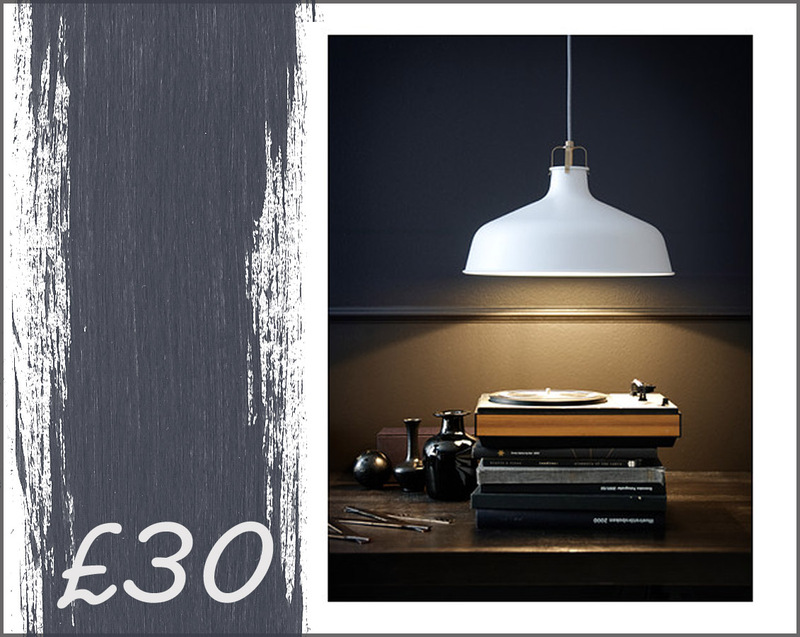 I’m a serious fan of factory inspired pendant lighting and no other High Street retailer can offer the budget conscious customer with such an awesome range of industrial inspired lighting than IKEA. Click here for more details. I couldn’t NOT include the above desk in my top 5 – that would be a terrible crime. 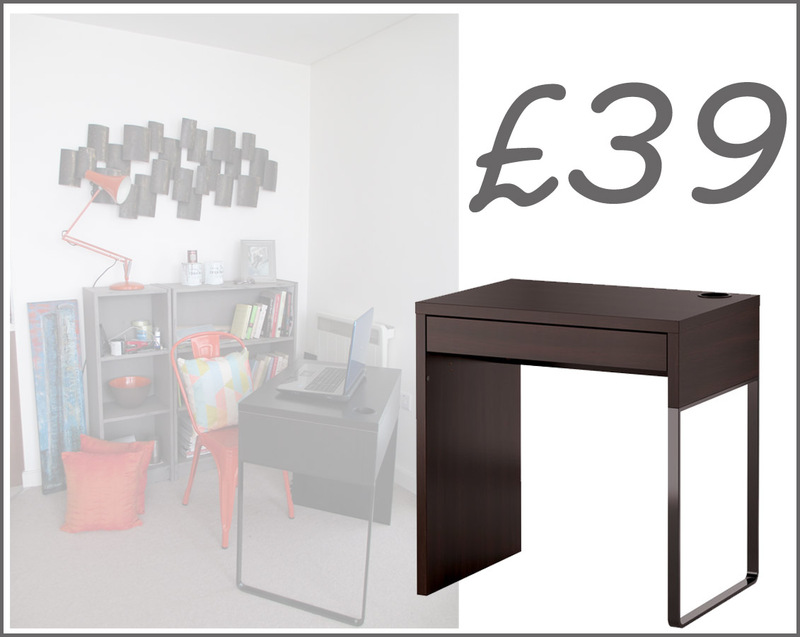 I mean seriously, at £39 what’s not love about this quirky desk? Its subtle nod to industrial inspired design (the metal detailing) had me sold within 3 seconds of seeing it. Click here for more details. Have you spotted a great find in IKEA? Drop me a line and let me know!